Having beaten world No 1 and former amateur team mate Rory McIlroy in the first round of the WGC-Accenture Match in Arizona in February before losing to McDowell in the third round, the Offaly man might not have relished another encounter with the world No 8. The round robin format has left Lowry idle for Thursday’s opening day at the spectacular Thracian Cliffs resort near Varna on the Black Sea. On the top 16 seeded players will be in action, leaving Lowry, Stephen Gallacher, Brett Rumford, Kiradech Aphibarnrat, Scott Jamieson, Thomas Aiken and Felipe Aguilar twiddling their thumbs. The top two players in each group will progress to the knock-out stages consisting of the last 16 and quarter-finals, played on Saturday and semi-finals and final, played on Sunday. All matches will be contested over 18 holes of traditional match play. In the round-robin group stages of the tournament the three players in each group will play each other once. Players will be awarded two points for a win, zero points for a loss and one each if the match is all square. If all three players win one match in their respective group then all three players shall play-off. Lowry misses Thursday but will have his stamina tested on Friday when he takes on South African George Coetzee in the morning followed by a tussle with Swedish Ryder Cup player Peter Hanson after lunch. Graeme McDowell. 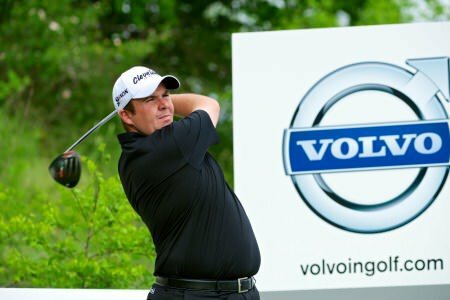 © Volvo in GolfThe Offaly man, who is taking steps to improve his fitness, will not be fazed by playing 36 holes in a day though he has not done so regularly in competition since his amateur days. As for McDowell, who lost to Nicolas Colsaers in last year’s final at Finca Cortesin in Spain, the Portrush man will take on England’s Chris Wood on Thursday and Scot Stephen Gallacher on Friday. Wood and Gallacher should do some research. Rory McIlroy got a taste of the famous McDowell “cold shoulder treatment” at Finca Cortesin in 2011, losing 3 and 2 and getting so annoyed that he threew his putter and kicked his ball into a bush. “Graeme was quite tough to play against. I think he psyched me out a bit. He’s obviously a great match player and knows what he’s doing. He won the battle that day. Graeme McDowell of Northern Ireland plays from the 9th tee during the pro-am event prior to the Volvo World Match Play Championship at Thracian Cliffs Golf & Beach Resort. ©Getty ImagesGraeme McDowell still has work to do to prove that his 2010 US Open victory wasn’t a one-off and when he tees it up in the Volvo World Match Play in Bulgaria today he’ll be gunning to take the next step towards the “big summer” he believes is on the cards following his victory in last month’s RBC Heritage at Hilton Head. 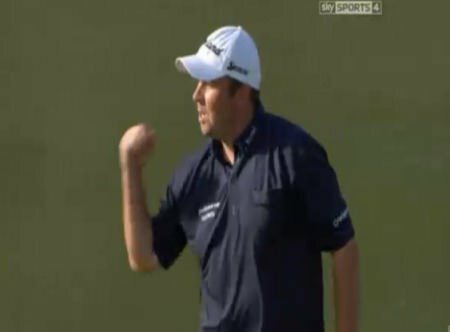 Graeme McDowell misses the green right at the second. 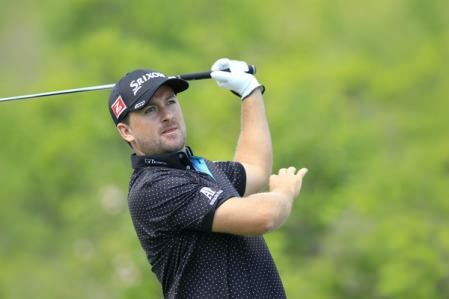 Picture: Eoin Clarke www.golffile.ieGraeme McDowell got his Volvo World Match Play bid off to the perfect start with a clear cut 5 and 3 win over England’s Chris Wood at the spectacular Thracian Cliffs and Beach Resort in Bulgaria. G-Mac on Rory exit: "It certainly won't affect my friendship"
Graeme McDowell marches on at the Volvo World Match Play. © Volvo in GolfGraeme McDowell gained some Volvo World Match Play revenge over Nicolas Colsaerts and put himself in with a chance of moving to seventh in the world at Thracian Cliffs today.